A new item to me. It comes in two version. Model #1 does not collapse for storage and Model #2 has a hinge system. This seems to be better than the use of traditional wood rib protectors in that it is more stable and does not concentrate load of fragile ribs. The inventor advocates the matching of covers to case color. To maximize visibility, it may be advisable to use high visibility covers such as orange and yellow. 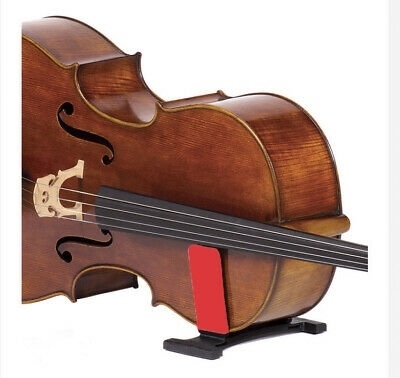 The guard can be used on 1/2, 3/4, and 4/4 cellos.